Bluetooth is the beginning of wireless music era and still the dominant player in this category. We now have apt-X codec to bring near CD quality sound but that is not good enough for audiophile. Because no matter how good the sound it is not lossless. That is why many serious music lovers turn around to Wi-Fi for better result. There are many manufacturers which bring dozen of wireless wi-fi sound systems: Sonos, Denon HEOS, Bose Bluetouch and the most loved one by myself Bluesound. Bluesound is the 1st wireless multi-room music system to fully support hi-res audio. 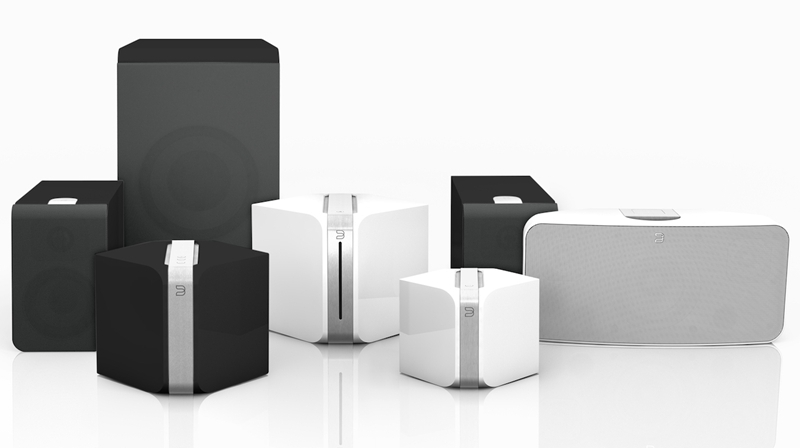 It has only been 3 years since the launch of Bluesound, and it has already upgraded its entire product range. Just six months ago, Bluesound unveiled Generation 2 which is an upgrade from Generation 1 on every level. From its design to its performance, Gen 2 is the reinvention of a much better, much superior multi-room sound system than any of its competitors thus far. For a company that was non-existent just a couple of years ago, Bluesound has come a long way. It beat its only competitor at the time, Sonos, winning product of the year in 2015. Although there are many companies that recently started making similar multi-room music systems, Bluesound has always been on top. And now, with the introduction of Gen 2, Bluesound is the unanimous winner among all other multi-room audio devices. Some basic audio features remain unchanged, such as file format support for MP3, AAC, WMA, OGG, WMA-L, FLAC, ALAC, WAV and AIFF; 16 and 24 bit audio resolution at 32 to 192 kHz sampling rates, direct support for cloud services like WiMP, Rdio, Slacker Radio, Qobuz, HighResAudio, JUKE, Deezer, Murfie, HDTracks, Spotify and TIDAL and support for Windows and Apple computers. The Bluesound Gen 2 has completely upgraded its family of devices and has introduced two completely new models in its wide range of products. These include the Node 2 and the Powernode 2 – which are wireless streaming music players, Vault 2 – a CD Ripper with 2TB of storage,Pulse 2 – a full-size all-in-one music player, Pulse Mini – a smaller version of the Pulse 2, and Pulse Flex – a wireless portable music player. The Gen 2 design is much better than its predecessor. Designed by David Farrage, the Gen 2’s sleek design comes in both black and white finishes and is much more appealing to the eyes than Gen 1. The Node 2 is slightly heavier in weight – 1.12kg vs. 1.0kg. The Node 2 consumes 6 watts as compared to the 3 watts used by the Node. Powernode 2 weighs around 1.72kg as opposed to 1.9kg of Powernode. The difference between Powernode and Powernode 2 dimensions is 248 x 202.3 x 176mm and 220 x 70 x 190mm respectively. Both the Powernode and the Powernode 2 consume 12 watts of electricity. Bluesound Gen 1 already had its own controller app available for Apple products as well as Android, Kindle Fire and Windows and Macs and now it has upgraded the app to support Gen 2 as well. You can now control what song to play throughout the house, or you can select different songs for different devices in specific rooms. You can stream music from your phone via Bluetooth or Wi-Fi. Although the new upgrade Bluesound has come up with is nothing short of excellent, it does have a few negative assets. For one, it is way too expensive. To buy the whole family of products for your home, you must be ready to dig really deep into your pockets. They cost not just a little. Its controller app could do with some improvements as well, but that’s not much of a big concern among users. But when it comes to sound quality, Bluesound blows all of its competitors out of the water. There is no denying that Bluesound is the best multi-room music system in the market at the moment. It has reached the top in just a short period. 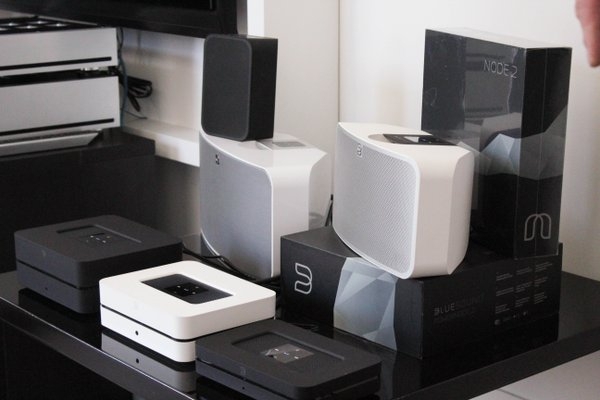 Sonos was the only company producing multi-room devices for 13 years until Bluesound came into being. After that, many other companies i.e. Samsung, Panasonic, Play-Fi and Denon, etc. started making similar devices as well. All these products by these companies are quite similar with what they have to offer but in comparison, Bluesound is the ultimate winner due to its high sound quality and better features. 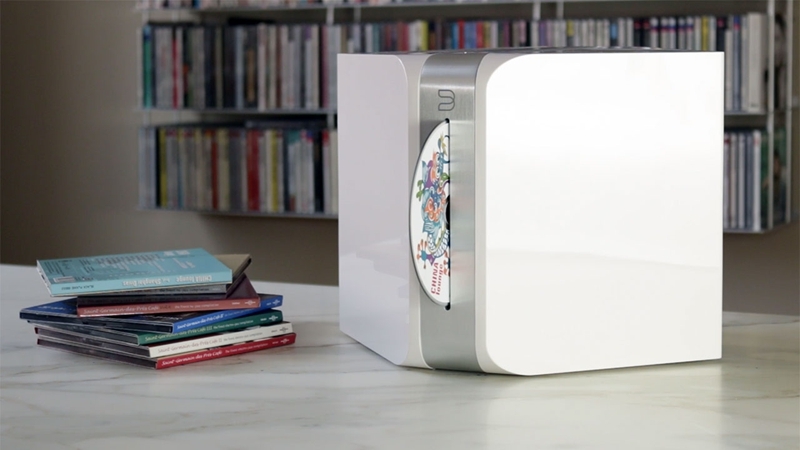 Bluesound has introduced a hard drive vault that rips CDs, products that connect to TVs and has also made it quite easy to set up all of its products. Although other products are cheaper as compared to Bluesound – HEOS by Denon, Sonos’s Play range, Bluesound gen1 system – nothing can beat Bluesound Gen2 when it comes to quality of sound and ease. The Gen 2 products do not compromise on sound quality, ease, performance and design. So if you’re a music lover who wants the best of the best, then Bluesound Gen 2 is just the thing for you. Do you have any thoughts on Arcam’s rPlay or comparisons to the Bluesound Node 2 as it is in the same price range? Sorry Paul! I am a little busy and have no plan to compare these 2 devices. If you have any idea about these items maybe you can write an article and I can post it here to let more people know about it. To those of you, friends, customers, and followers, who based on my advice purchased BlueSound or NAD audio equipment that utilizes the BluOS app, I would like to sincerely apologize. Unfortunately, I’m unable and unwilling to keep endorsing BluOS based products. I’m sorry for my oversight. I recommended the BlueSound System out of enthusiasm and a desire to finally offer you an alternative for playing your High Definition recordings. I should have tested the BluOs app thoroughly before recommending you their equipment. I will keep working on a new, well-tested alternative.